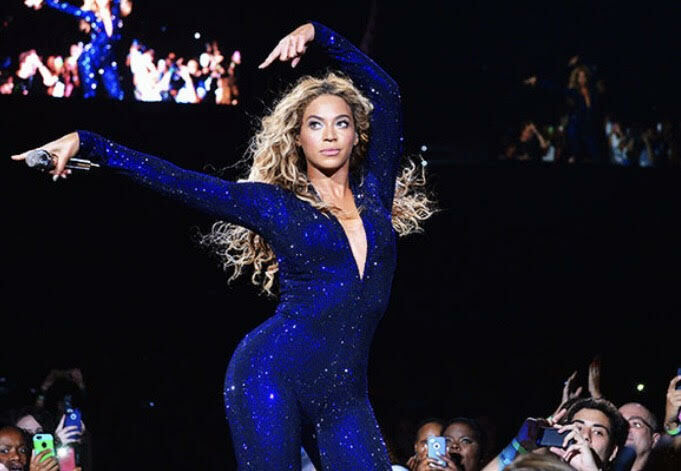 Our always popular Beyonce Workshop is back in November. Come and shake your booty and get in Formation. Book in via workshop section. Our September Rebel of the Month is the gorgeous Aoife, Aoife is one of our most loyal clients and if we don’t see her in class at least twice a week then we worry about her and we miss the ray of sunshine she brings into the class!! :) Don’t let that smile fool you she is a barre machine! Here in her own words is what she loves about Rebel Barre. ‘I have been taking Barre classes with Orla and Jade since 2012 and I haven't looked back since. I absolutely love everything about the Rebel Barre classes. Orla and Jade are trained dancers and they are amazing teachers, their classes are really tough and they push you to challenge yourself but in a fun way and to a great playlist. I also love that Orla and Jade always keep the classes fun and when Orla goes to London or LA we all know that her first class back will be a great one because she dying to try out a new routine on us. I started barre because I did some research on workouts that help you tone up and build muscle without having to do a high intensity cardio workout and I discovered Ballet Barre. I have been to many Barre classes in Dublin over the years and Orla and Jade's are the best in my opinion. They really know how to deliver amazing classes to all levels and abilities and you don't need any dance experience to be able to do the classes. So we just wanted to give you all a little update on what is going on with our new Rebel Barre space. In turns out there have been a multitude of issues with the opening of the new space in Hatch Street and it looks like it is not going to be ready to move into now for at least another couple of months. To say we are gutted is an understatement but we have been working around the clock to find spaces to bring you as many Rebel Barre classes as we can. So this is where we are…… We are going to be teaching a Barre class on Tuesday at 5.30pm and Thursday night at 5.30pm in The Holistic Centre on South William Street from Tuesday 20th SeptemberThis is as well as our 6pm Barre and 7pm Cardio Dance on a Monday night in Temple Lane Rehearsal Studios and our 10.30 am Saturday class there as well. We are looking to do some pop up classes in other spaces as well and are in the process of trying to put all that in place so please bear with us. We are happy to announce that we are now selling the Sticky Be grippy socks at Rebel Barre. We love them, they are great quality and have little inspirational messages on each one. We loved them so much that we had to bring them over from the States for you. The basic grippy socks will be 12 euro per pair and come in black, purple and blue and the long leg warmer socks (our favourites) will be 16 euro and come in black. At the moment they are just available in class with payment in cash but we are hoping to get our online shop up and running soon. Last few spots for our 90’s workshop are available to book into and next month we will be doing our 80s workshop in aid of Pink Ribbon Breast Cancer awareness month. Date and more information on that to come. We are starting a monthly Rebel Barre Rebel of the month to recognise our most dedicated Rebel Barre attendees. This month our first Rebel Barre Rebel is the wonderful Anne McCoy. We love Anne because she always comes to class with a smile on her face. She is so dedicated and it has been wonderful to see her getting stronger and stronger with each class. Here are a few reasons she loves barre in her own words. "I've been taking classes with Orla and Jade since they set up Rebel Barre and before that in other locations that they taught in. They're the best barre teachers in Dublin! If they move, I move with them. They're patient and know their stuff. They're trained dancers but know that the people in the class aren't. I love Rebel Barre classes so much because although you're continuously being pushed to improve your form and technique, the time flies by, they're fun with great playlists. The specialist workshops are great too, I left the splits workshop being able to go into a full splits and I cannot wait for Beyoncé one. Who runs the world.... Rebel Barre! I love the discipline of a barre class and the freedom of a cardio barre class, so different but both so enjoyable. I've tried lots of gym programmes and I lose interest in them after a while. I actually started barre to help aid my recovery after major spinal surgery as its a great low impact exercise. Now I'm an addict, you work hard and your muscles shake but you reap the rewards. I never had defined abs before, my legs are toned and sculpted, my arms are strong and I'm really flexible. I've recommended Rebel Barre to lots of my friends already, I think people are nervous that you need dance experience to take part but you don't, just focus, it doesn't matter how fit you are or what age you are, you'll love a Rebel Barre class. If I don't do two classes with Rebel Barre a week, I get twitchy, three classes a week is my ideal. The class really is my happy place! " Hey everyone, So as many of you know we lease our Rebel Barre space from the lovely people at 17 Personal Training, well this week we were informed that there is a problem with their lease and the land lord has issued them with a notice to vacate the premises of No 18 Merrion Square. Obviously this has come as a huge shock and we now have to leave by the 6th August. We have a new space near Harcourt Street to move into at the beginning of September but we are now homeless for about a month. We are adding Barre classes to the Temple Bar schedule on a Monday night at 6pm and Saturday morning at 10.30am. Now we know that this is not convenient for lots of you and we are so upset to have to leave a space we put so much work into but rest assured we are working around the clock to come up with other spaces to teach in and you guys will be the first to know. We just want to say how much we appreciate all the support we have received from everyone in our Rebel Barre journey and we do see this as a small hiccup in what will continue to be a great success story. Obviously we are extending the expiry date of all packages that have been purchased by 2 months and we hope you will bear with us while we get through what we hope will just be a small road block. We will keep you informed as soon as we have more information. The classes up until 6th August in Merrion Square will go ahead as planned and our workshop on 20th August will go ahead in Temple Bar along withMonday night classes there of Barre at 6pm and Cardio Dance at 7pm. Our Saturday classes will start there from 13th August. We are going also going to close for 2 weeks holidays from Tuesday 23rd August until Sunday 4th September. Our website will keep updated with classes and locations. Thanks for your patience and we’ll see you at the Barre very soon. Our summer offer has proved so popular that we have decided to extend it until July 15th. So you have just 2 more weeks to take advantage of this great value offer. The classes are valid for 3 months and can be used in any of our classes. See you at the barre. To celebrate the start of summer we have a special Rebel Barre summer offer. In June we are giving you the chance to purchase a 5 class pass for just €65. This pass is valid for 3 months from the day of purchase during June only and is valid for all classes. So now is the time to up your Rebel Barre game or maybe give us a try for the first time. |n June we are also extending our 'Bring a new friend to the barre offer' If you introduce a friend to Rebel Barre and bring them to a class then we'll credit your account with a free class to say thank you. See you at the barre. Our Splits workshop was great fun and a huge success, thanks to the ladies who braved a very wet Saturday to come and work on your stretching. The Foam roller section of the class was particularly popular so due to demand we are running an hour and a half foam roller workshop on Saturday May 7th in the new studio on Merrion square at 11 - 12.30. Price will be €25. Classes have been going so well over the last few weeks so thank you to everyone who has come down to take class. Our Splits workshop on Saturday 2nd April is now sold out, really looking forward to it. We'll be running lots more workshops soon so watch this space and sign up to our newsletter. We are starting a new 7pm Monday class in the Temple Lane Rehearsal studios, opposite FilmBase in Temple Bar from Monday 4th April. Book online or drop us an email for more information. We launched our classes today and we're so happy so see all your smiling faces at the barre. Can't wait to get started in the studio in Merrion Row next week. And we have some exciting new classes and workshops planned! See you at the Barre. We're so excited to launch our new schedule of barre classes. We'll be teaching on a Wednesday from 2nd March in My Wellbeing, 16 Dame Street and on Mondays, Tuesday and Thursdays from 7th March in Regimes Studio, 16, Merrion Row. Can't wait to see you at the barre.